This is such an excellent case. Last year visiting the beach I always like all of us worry about my phone getting wet or filled with sand. You have to be so careful at the beach with your phone. It is important to have it with me at all times especially when my adult children are not with me I always need to keep in touch with them. 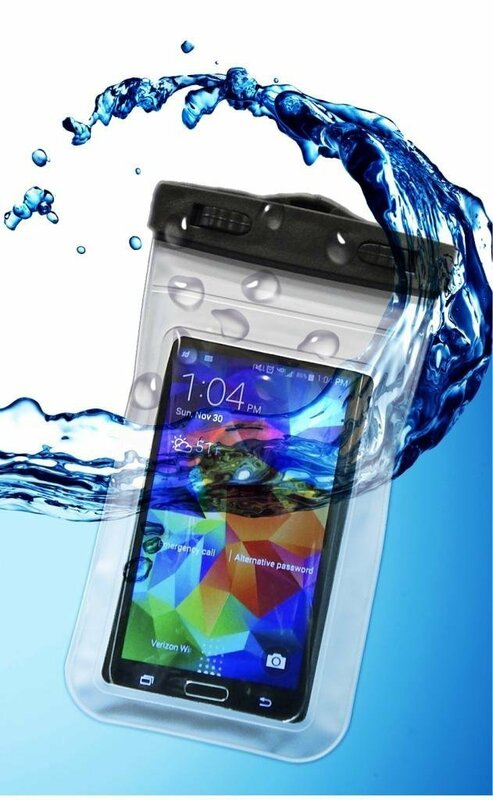 Before I go to the beach or pool I put my phone in the waterproof case. The case is made of soft plastic and the top is a sturdy plastic that snaps closed. I wouldn't honestly swim with my phone in the ocean or pool I just want to protect it in case of water damage or sand. My daughter goes to the beach every weekend so she has been using it more than me. She still can use her phone while it is inside the case. It fits her iphone 5 and it fits my Galaxy 6. I received this smartphone case complimentary in exchange for my unbiased review and opinion. All words and opinions are my own.